Very nice! I really like all your clean and streamlined UI designs. I’ll be honest... you really need to incorporate DebugVars instead or make tweaks to your implementation. Listing out object members all on the same line is hard to read. And it also is capped at displaying a limited number of object members. 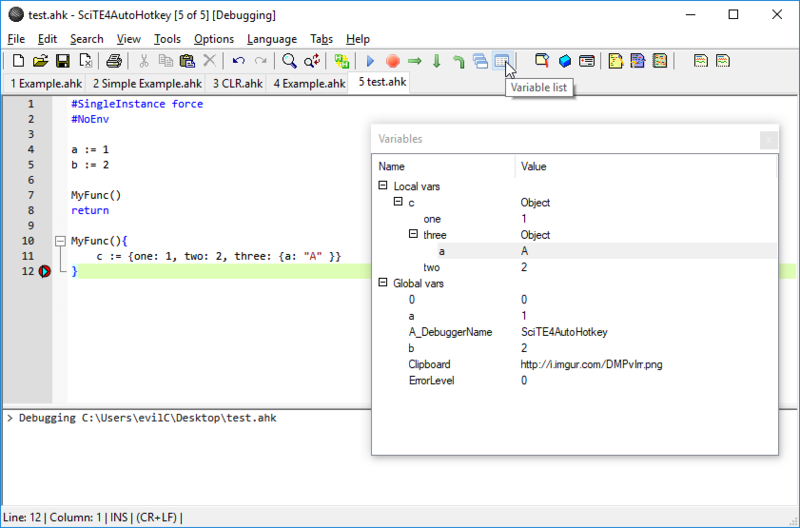 I'm considering to incorporate a modified version of DebugVars in the AHK v2 version of AutoGUI, which I had not started yet. 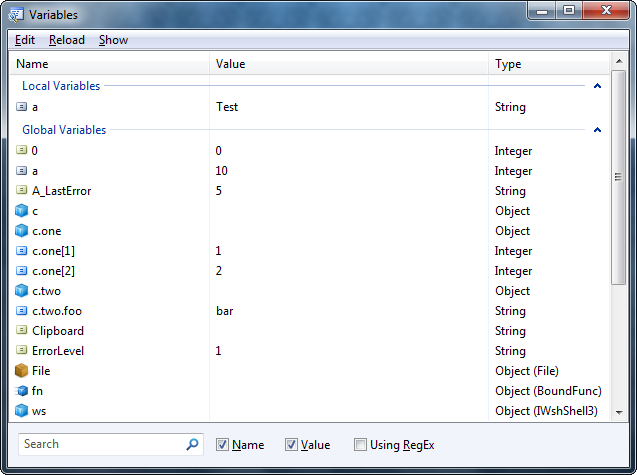 Object members are displayed in the variables list of the debugger of AutoGUI in a flat, single line, which facilitates the search mecanism. Is readability compromised? Compare RegEdit with the "about:config" of FireFox. A TreeList provides a more organized view of the data, while a flat list is more appropriate for search. As for not displaying all object members, some of them are omitted by default. Enable "Show Reserved Class Members" to see them.